Misa’s Realistic Texture Pack is designed to look semi-realistic and be easy on the eyes, avoiding too many bright colours. The pack was the first complete high resolution texture pack ever made and set the bar for future texture packs. Looks good – grass could be brighter though. Looking a bit too olive-like for my tastes. I cant seem to download but, nice texture pack. I really like the textures, but one problem so far that I have is that the compass does not work. can that be fixed? the glass is my favorite part! Installed it, looks awesome, but my water blocks say ” use latestest MC Patcher” I did that but still not fixed. how did u make that house?? I have been using the Misa texture pack for quite some time. This version I have issues with.The biggest issue is that the English language is all garbaged up. Any body else experiencing this? I have been using this texture pack for a couple of months now, i do not use any other. It has a wide veriety of all mobs and monsters. there are like 20 different looking zombies, like 10 diffrent creepers, so on and so forth, I rally reccomend this texture pack. it is amazing, all the colors and blocks kind of blend so its not really pixaly and what-not. Everything is changed, i LOVE it. Download the MCPatcher, open it, click the bubble next to Better Grass, and click patch. That should fix it. Where do i download the MCPatcher? nice texture pack but redsotne and lava and water glitch out saying”get the lastest version of MCPatcher” wat do i do? Can you PLEASE do an x128 version of this? Such a great pack! THIS PACK IS SOOOOO COOL! I installed the texture pack perfectly fine and it works, but how do i get the different textures of mobs to show up? Great texture pack. I am downloading it. 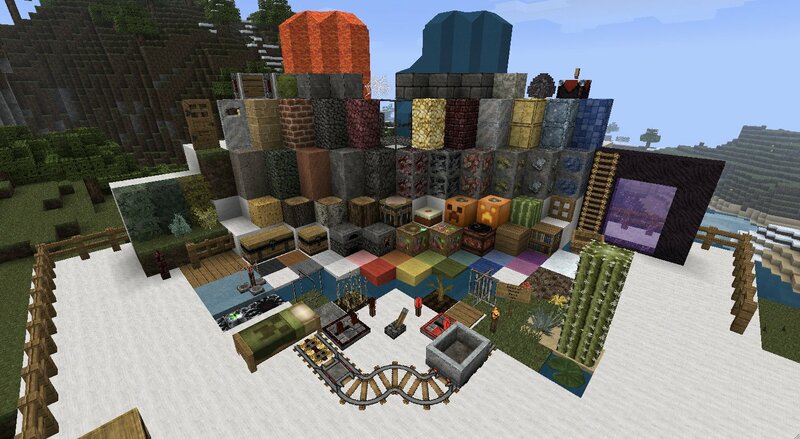 Cool texture pack :D! Maybe I’ll download it! That texture pack is so realistic that a spider scared me while venturing in a stronghold. Didnt get that scared in a game since Amnesia! 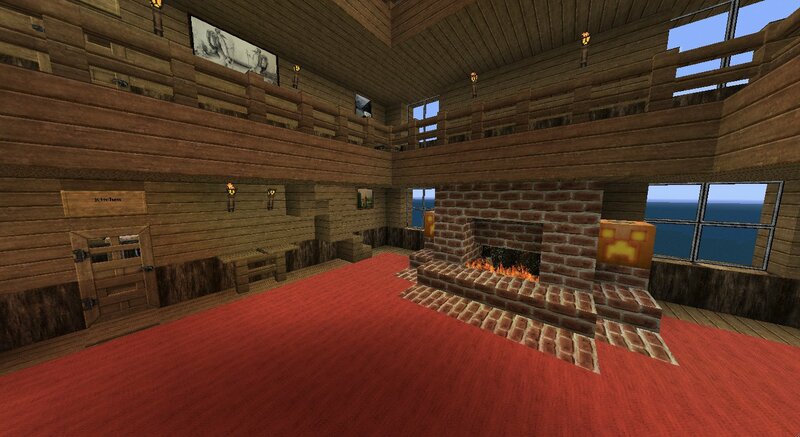 So far this is the only Texture pack I use cause it has the best look. The mobs etc are indeed also awesome. I love the dispensers with the animation!! Its a nice texture pack until you go into a cave. The torchlight is so dim and orange and it’s hard to see anything, as well as the menus are untextured even though I have run MCPatcher and can use the Dokucraft pack. Also, it crashes often. 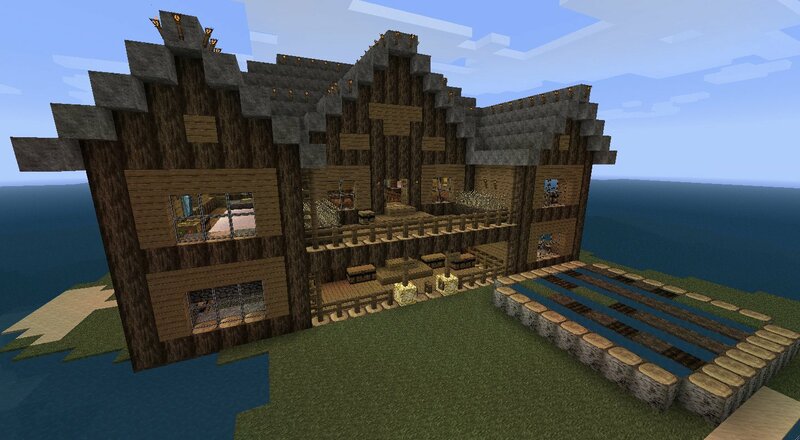 This is a perfect texture pack when i play minecraft! Don’t get me wrong, I love this pack and I think it’s gorgeous, but after playing it for a little while I started to find it a bit overwhelming. Especially in caves and in small spaces. Also, cobblestone next to smooth stone seems more jarring in this pack than in others I’ve tried. Still, I’m going to keep it and use it for “glamour shots” of my houses and stuff because it’s amazing. It makes my water garden gorgeous. It even makes my crummy STOREROOM gorgeous. And not even gonna lie, I went down to my netherwart farm to pull some up and yelped out loud when I saw the soul sand. One thing: the glass would be better if it had more of a per-block outline/grid on it. In glass structures, it is hard to see. I will definately be using this for awhile! this is the best texture pack I’ve ever used! This pack is awesome but it would be better to update it. Would love to see an 1.8 Update for this pack. It was my favorite!